. : How do you know it's working? My children are learning more and more how to cook. My awesome wife cooks great, especially baking! She's been adding new things to our repertoire, gathering encouragement and ideas from www.thePioneerWoman.com. As our girls get more active in cooking by themselves, there are some learning spots along the way. A couple of nights ago while baking some drop biscuits, there was something not quite right. The biscuits looked ok, but the taste was off. My brain was expecting biscuit, but there was a bitter or otherwise unusual flavor. Turns out, they used baking soda rather than baking powder. Leaning some things takes time. And practice. God is at work, and has a plan for every person on the planet. He wants people to experience joy and freedom that comes through His love, which He expressed in Jesus. And, like learning to bake, some things take time. The picture above is a baptism we did on September 25 at the North Beach in Lake Charles. 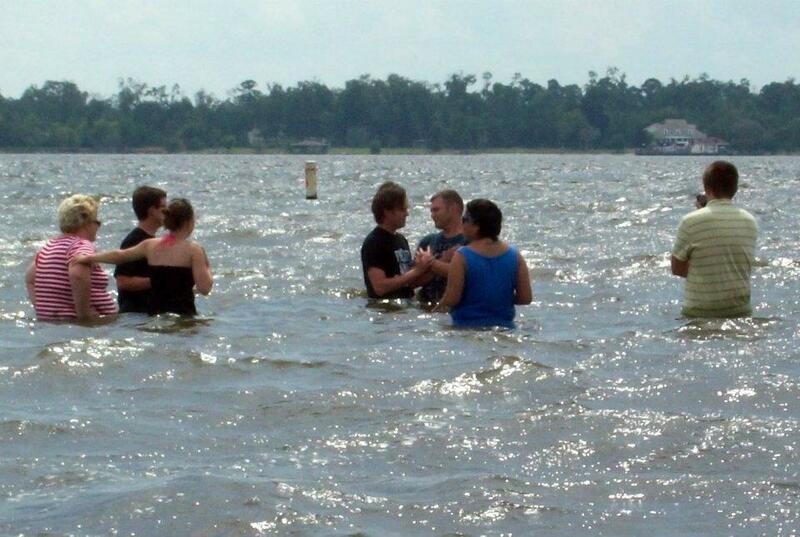 Two awesome people were being baptized. Then, as we were coming up back to the shore, another person asked if I had 1 more in me today. This guy I've known for a long time. I've seen God doing things to help him see Jesus. In recent times, God has used the young leaders we are training at theCityChurch to help him see Jesus more clearly. And the results will live forever. Some things are not easy. Most things, it seems. So we need to seek perspective along the way, ask God for clarity, to see if we are going towards Him. This day was a reminder from God that He is at work.